Soaping-up in the shower can be so much fun, but coming-out feeling like you have stretched alligator skin is not. It’s because most soaps are loaded with junk ingredients (i.e. : sodium lauryl sulfate, parabens, fragrances) that wreak havoc on your birthday-suit and strip-away all your healthy moisture. 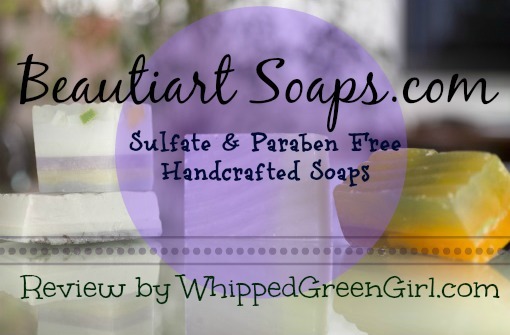 BeautiArtSoaps.com is not your conventional soap company. They only produce naturally-scented, chemical-free soaps, that will treat your skin to a silky-smooth layer of natural moisture. 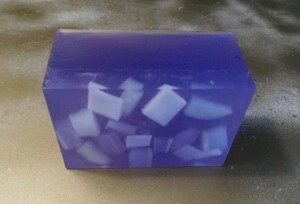 WHY BEAUTIARTSOAPS.com MAKE GLYCERIN BASED SOAPS? BeautiArtSoaps.com were kind enough to provide me with the following 2 samples for review! They both instantly made my bathroom smell amazing before I even lathered-up! Coconut Oil, Palm Oil, Safflower Oil, Glycerin (kosher, of vegetable origin), Aqua/Water/Eau, Sodium Hydroxide (saponifying agent), Sorbitol (moisturizer), Sorbitan Oleate, (emulsifier), Oat Protein (conditioner), colorants, and essential oils. These safe soaps emit wonderful, aroma therapeutic blends. It’s such a satisfying pleasure to get clean while benefiting from natural fragrances your skin and body will love, while not drying out and shriveling your skin. The bars have a soft, silky feel and immediately bubble-up in water. The end result is a clean, refreshed, silky smooth you! Each bar is unique and made with love. There’s something comforting about the fact each ingredient was chosen with your best interest at heart. The makers made note to never leave the bars in sitting water or they’ll pretty much disintegrate. Make sure to always leave them in a dry area or in a soap draining tray between uses. I would definitely suggest checking out their goodie bag HERE! ($19 USD) – who doesn’t get giddy over surprise bags! These are so pretty! I love pretty soaps like that. I used to make glycerin soaps, but haven’t in ages. I bet the Soapfetti smells really great! It truly does- you can tell they put a lot of love into making their products! I love using these soaps in the morning!